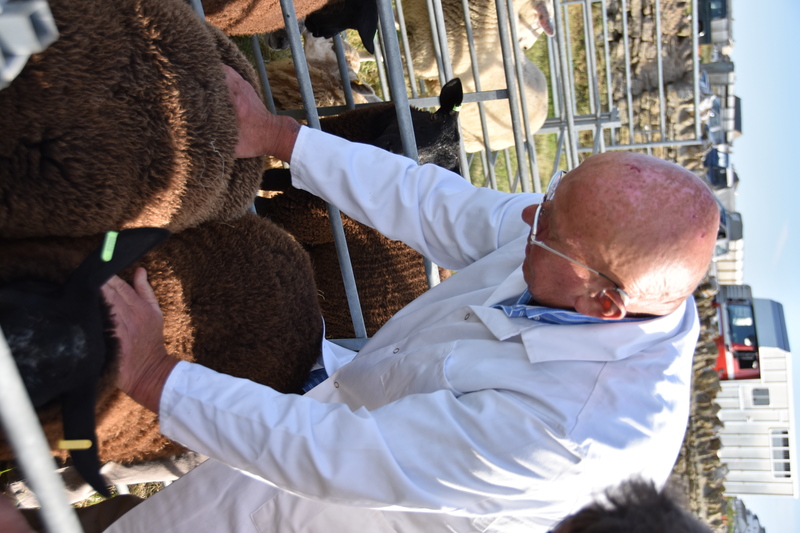 The first on site competition at the 2016 Melplash Show was judged on Tuesday 23rd August at the Show Ground – The Live Lamb Pairs competition. The judge for the evening was John Studley from Hinton St George. There were 39 pairs in total entered in the four categories: Continental Sired lightweight (under 75 kilos) and heavyweight (over 75 kilos), Native Siredn lightweight (under 75 kilos) and heavyweight (over 75 kilos). 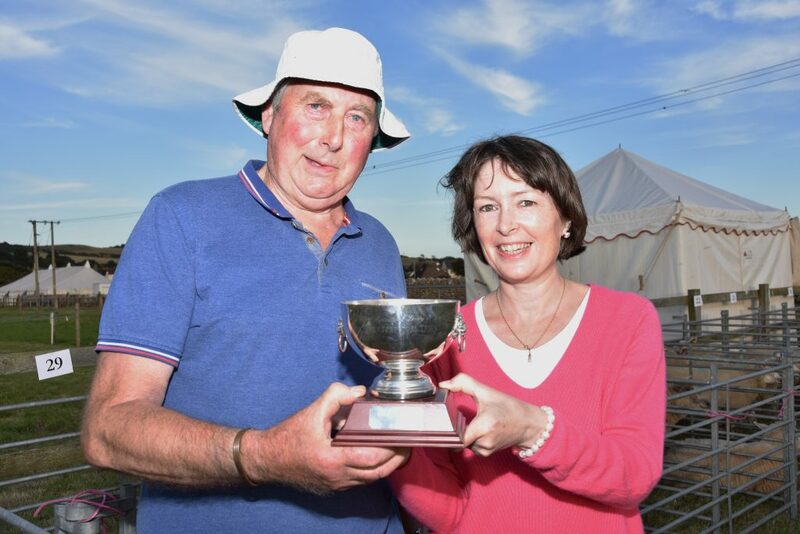 Mr Gillard receving a trophy from Society President, Rebecca Knox. The evening was followed with the customary lamb dinner at Loders Village Hall.